The Capharnaum Roleplaying Game launches today! Join us on the Capharnaum Kickstarter! Hi everyone! Right now Mindjammer Press is running the Capharnaum Kickstarter, a new campaign to fund the production of the English-language version of this gorgeous and action-packed fantasy roleplaying game, originally published in French by Studio Deadcrows. Arabian Nights-style adventure in a fantasy world of crusaders, ancient empires, world-striding heroes, and mysterious draconic powers, Capharnaum comes as a beautiful 400-page hardback core book, and a complete line of supplements, adventures, screen, and support material which I’d like to ask you to help us fund. If you’re a Harryhausen pulp fantasy fan, if you love games like Exalted, Seventh Sea, Legend of the Burning Sands, Al Qadim, or if you’ve just a yen to own your very own clockwork owl, ride a flying carpet, or rub a magic lamp and make a bargain with a djinn, check out this fantastic game and support the Kickstarter campaign today by clicking here or on the image above. There’s even a free quickstart adventure to get playing right away! As a book, Capharnaum is a gorgeous artefact – beautiful and evocative artwork, and a profound and fascinating setting that riffs off historical and mythic themes to create a compelling game world. It also has a custom system which really hits our sweet spot: simple, elegant, and quick to learn, it’s also extremely flexible in play, and allows for some real depth with increasing system mastery. 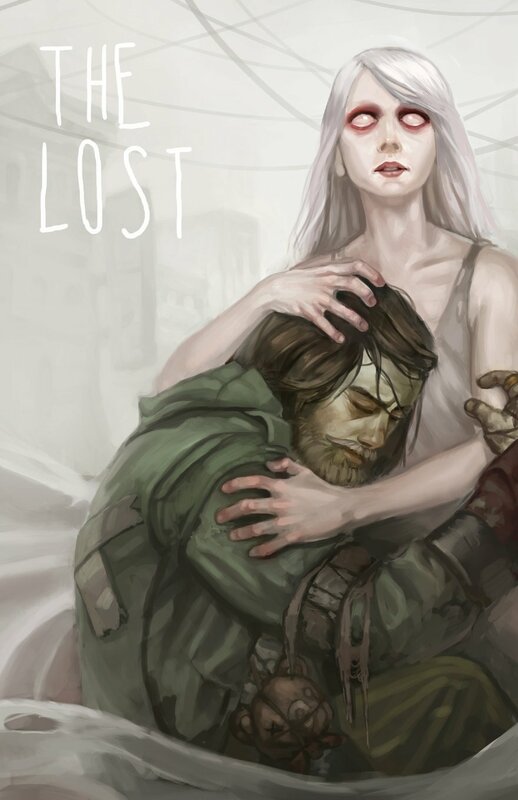 It’s been a sparkling gem on the French RPG scene for ten years, and has recently celebrated its decade with a second edition, and I’m very chuffed that Mindjammer Press has the opportunity to bring it to an English-language audience. The Capharnaum campaign is running right now, finishing on the 17th December, so please check out the campaign page where there’s a video, lots more information about the game, and even a free 44-page downloadable Quickstart adventure. Also, as ever, I’m available for Q&A on the Kickstarter comments page, and to assist with anything you need. It was such an experience running the Mindjammer Kickstarter campaign two years ago, it’s been totally life-changing and has led to some awesome friendships and – I hope you’ll agree – a fantastic series of supplements and scenarios of ever-increasing quality which shows no signs of stopping! I’m really excited to be doing it again, and I hope you’ll join me and everyone at the campaign to explore this spectacular FRP game line and setting. 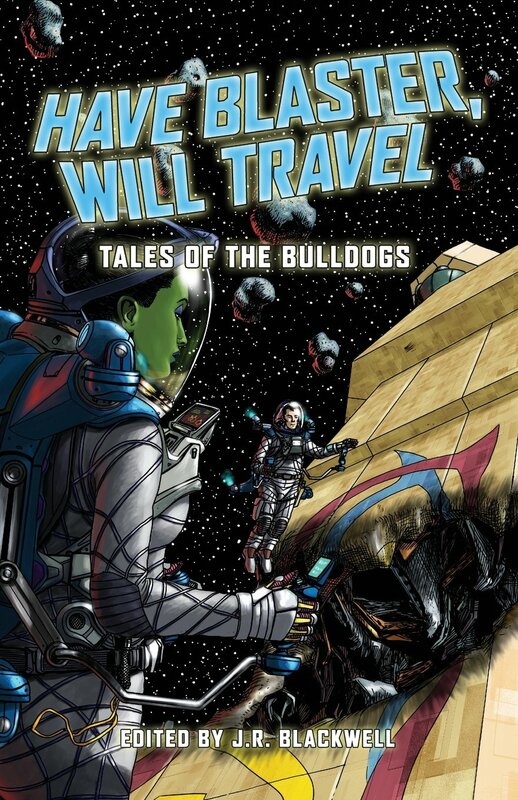 Mindjammer Traveller Edition – Out Now! I’m delighted to announce that our Mindjammer Kickstarter is now live! Mindjammer Press is proposing to you a massive upgrade to the Mindjammer Fate Core RPG and fiction universe, with new adventures, sourcebooks, supplements, new fiction, and even a Traveller version of the game. There’s so much to come – please join us over at Kickstarter and help fund the Mindjammer line into 2016 and beyond! You can find out lots more about the Kickstarter and our plans for the future of the line at https://www.kickstarter.com/projects/328469751/mindjammer-the-roleplaying-game. I hope you’ll join us there! The Mindjammer Kickstarter begins on Tuesday 17 November 2015! I’m absolutely delighted to announce that at 12 noon GMT next Tuesday, 17th November, 2015, Mindjammer Press will be launching a Kickstarter to fund a massive expansion of the Mindjammer game and setting into 2016 and beyond. It’s a really exciting opportunity which I hope you’ll help us take – a chance to produce a gorgeous line of full-colour RPG supplements detailing the New Commonality of Humankind in unprecedented depth, with adventures, sourcebooks, campaigns, and even a Traveller RPG conversion and brand new Mindjammer fiction. Check back here next Tuesday, or on social media at Facebook, Google+, or Twitter (@MindjammerPress), and join us! Mindjammer Press is delighted to announce the publication of Monsters & Magic, its new Old-School Renaissance roleplaying game! By ENnie Award-winning RPG author Sarah Newton, it’s a fusion of classic fantasy roleplaying with modern rules concepts, letting you play your favourite characters and campaigns with a new and innovative set of rules! Check out the Monsters & Magic homepage for previews, downloads, artwork, and much more about the game! Mindjammer is the first novel in the Mindjammer series, available now from Mindjammer Press! 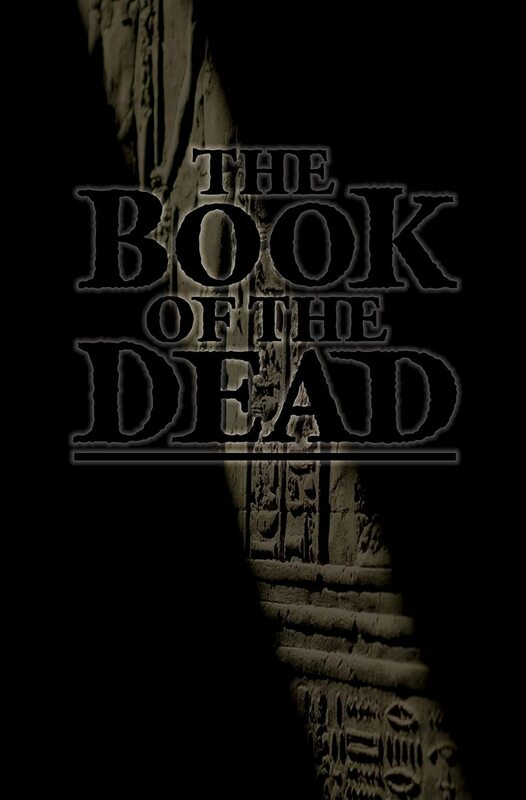 By ENnie award-winning RPG author Sarah Newton, it’s an action-packed tale of mind-bending technologies in the unimaginably far future, as the human race struggles to fulfil its transhuman destiny. You can buy Achtung! 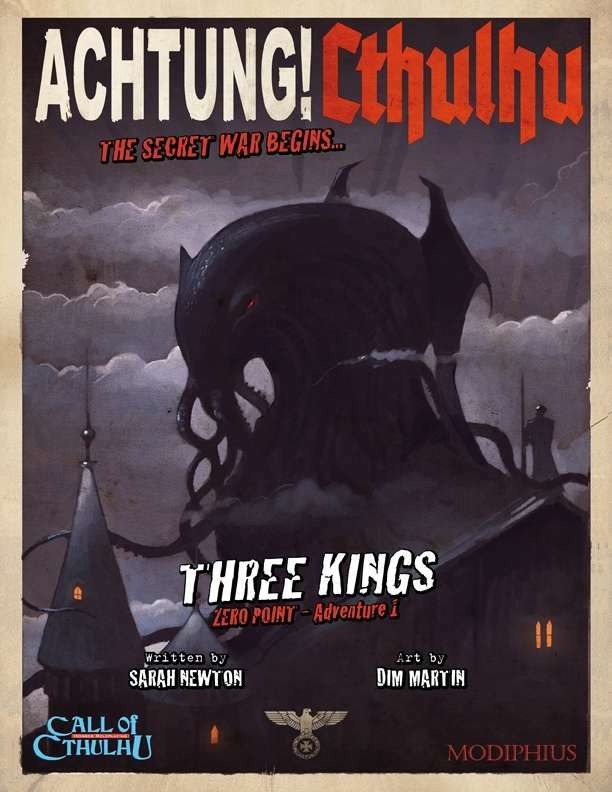 Cthulhu – Three Kings here at DriveThruRPG now! I recently found a second-hand copy of LoA, and I’ve used it to make my magic system in Fate Core balanced, and really fun. Thank you for saving my fantasy rpg! Greetings. Thank you Sarah for the great rpg gems! My only concern is that we can’t find the physical products in order to buy them. I’m interested in Monsters and Magic rpg. Can you use just a bit of your “author” powers to get one? i would gladly buy from any contacts you can recommend me. I am writing you to let you know that I really liked your Achtung! 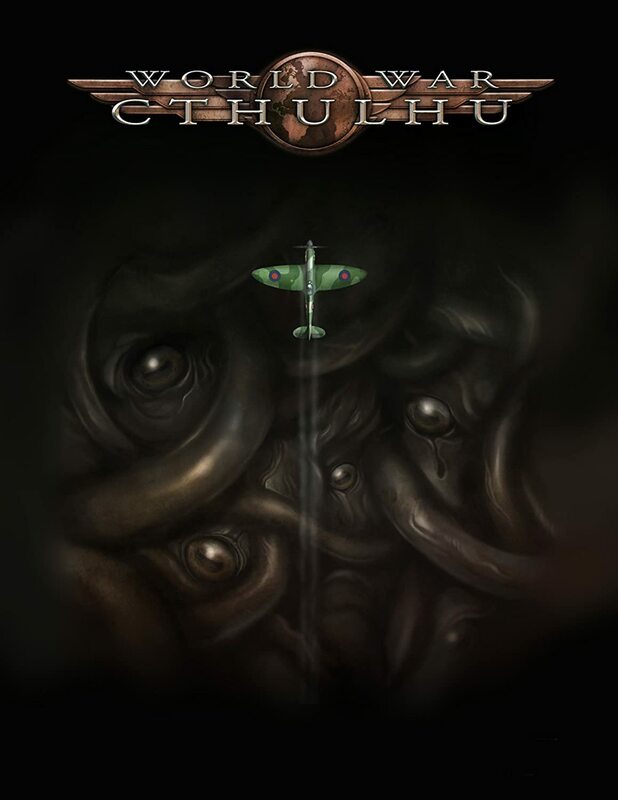 Cthulhu: Three Kings adventure. Personally I’ve gotten so used to running adventures dealing with 100% fictional events and settings, that I was pleasantly surprised when I found out that a lot of people and locations in Three Kings were actually real! You must have done a lot of research when you started writing this. I for one had trouble with finding a lot of information on Frantisek Moravec. His wikipedia article is very brief and most other information I managed to find on the internet were all in Czech. It was a bit frustrating for me, as I had to play him during the mission briefing scene and I was getting the feeling I couldn’t accurately portray him because I knew so little about him. Luckily the players didn’t ask him any personal questions and stayed focused on the mission at hand. In any case, I ran the adventure last weekend, and although several players were a bit skeptic at first, everyone really enjoyed themselves. And since we’ve recently started recording our play sessions, we’ve put it on Youtube. Hopefully we did your product justice and if you like it, you could perhaps share this video with others. no use in our time of need. Try mixing in pecans along with berries for a great change every single day. Hi Sarah, I can’t seem to find the Mindjammer FATE supplement anywhere in PDF. Also, I’m a bit confused as to whether it has been expanded in the “Expansionary Era” version that I’ve found on a few sites, i.e. I’ve also found a physical copy in my local game store, but I’m holding off buying in case there is an updated version in the works. Can you shed some light on what the current status is? I have checked out the Mindjammer preview pdf, and am quite impressed. How tied in is the setting to the FATE mechanics? I have Starblazer, but have doubts whether the system would work for me (and just as importantly, my group). I am on my second read-through of Heroquest 2 (still trying to grok it, but getting more and more inspired and convinced it’s my Holy Grail of Gaming Systems), so I am wondering how easy it would be to port. Hi it was nice to meet you and sadly I do regret not buying a copy a copy of your book. Also I was unlucky with my timing not to get the copy of the monster Starblazer book. I will look forward to buying a copy of this next time. If you’re still interested in a copy of Mindjammer, paperback copies are now shipping from the (Cubicle 7 Webstore, and orders include complimentary PDF and epub ebook versions.